American Vogue Elsa Coronation Tiara Crown Ver 7.0 Just $7.22 Down From $60! 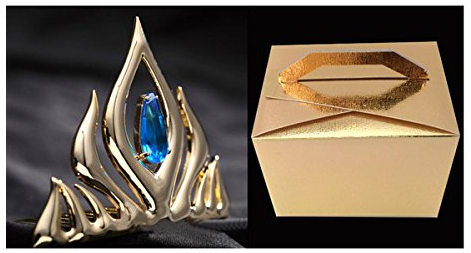 You are here: Home / Great Deals / Amazon Deals / American Vogue Elsa Coronation Tiara Crown Ver 7.0 Just $7.22 Down From $60! Here’s a fantastic Amazon that you don’t want to miss! American Vogue Elsa Coronation Tiara Crown Ver 7.0 is just $7.22 down from $60! Get yours now while lasts!